We found a lot of kitchen essentials and home decor products at Shivani, located at Pondy Bazaar. Sure we love shopping at Home Centre and have found some of the quirkiest cutlery there, but we are equally excited about Shivani thst we discovered at Maya Plaza. They’ve got everything from cutlery to storage baskets at affordable prices. Life just got simpler, isn't it? In the crockery section, the mason jars in various colours was the first thing we picked up. Priced from INR 350, these jars come in different shapes and the prints like yellow and white Madras checks, Eiffel Tower, the streets of London, and elephants just made them cute to the power infinity. 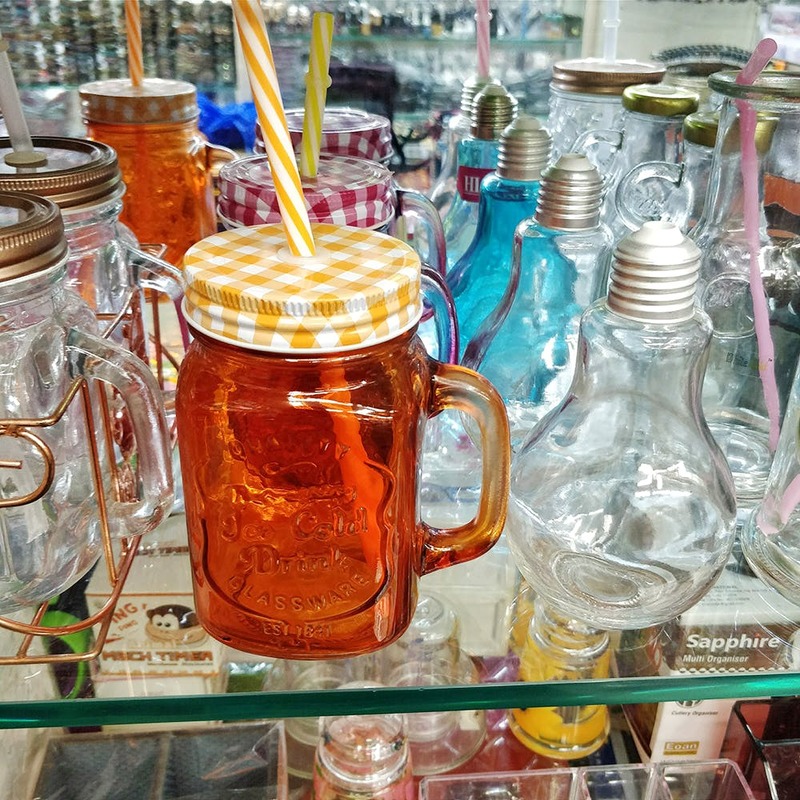 Our fave is the bulb-shaped neon- blue mason jar with a twirly straw. Besides glass, they also have ceramic and melamine crockery. Coffee mugs, plates, soup and entree bowls, milk jugs, you name it and you’ll find it here. We liked the tiny wooden salt and pepper shakers that will fit right into your pocket. The teacup sets are priced from INR 500 and come in glass, ceramic, and wood. Place the pearl white ceramic set with intricate floral designs in your kitchen for it to feel Victorian. They also have a few vintage-looking cup and saucer sets, that come with a few parts chipped off (at least that's how they seem to look like), giving out a rustic vibe. Coffee mugs here have gorgeous floral designs and some have abstract art with an explosion of colours. There are loads of storage boxes and baskets and water dispensers starting INR 250.